Doctors and Patients have filed over 18,000 adverse event reports related to Essure to the FDA and Essure lawsuits are being filed and fought across the U.S. Over half of the FAERS incident reports were filed by women that were required to have invasive surgery to remove the Essure sterilization coils because of severe side-effects. Many women had to undergo full hysterectomies because of the damage done by Essure. Essure carries a Boxed Warning for possible side effects which seems to be slowing demand for Essure, however, everyday Essure is available in the US market puts American women at risk. In September 2015, the FDA held open public hearings in which 43 patients and interested individuals spoke, many giving highly emotional testimony. Most patients asked the FDA to remove the device from the market. The FDA stopped short of removing the device after hearing this testimony, but, instead agreed to further study and required Bayer to include a black box warning on the risk of injury. 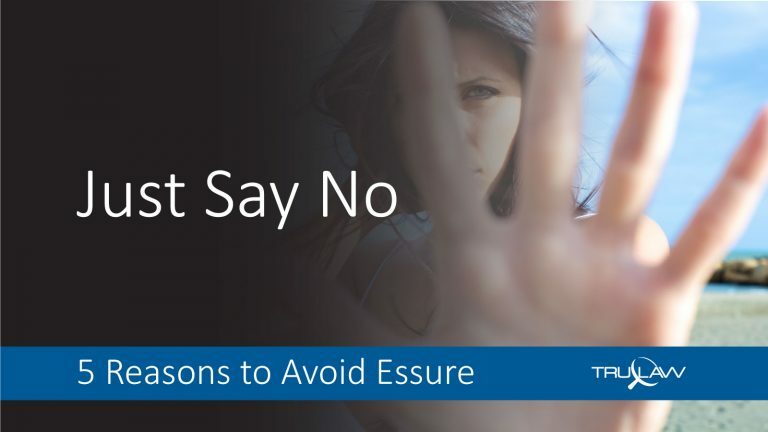 In addition, all women now considering Essure as a permanent birth control option must receive a “Patient Information Booklet” and sign a Patient-Doctor Discussion Checklist acknowledging that they have been informed of the risks of using the Essure implant. Essure Post-Market Study FDA Requirement Has Been Largely Ignored by Bayer and while Bayer drags its feet, women continue to be injured! The FDA Allowed Essure to Remain on the Market with the requirement that Bayer conduct an additional post-market safety study. The goal of the post-market study was to determine what, if any, further actions related to Essure are needed to protect public health. However, a year and a half after the study was initiated, the study has not yet been provided. Bayer has been dragging its feet on compliance and should be held accountable! The Bayer post-market study plan was FDA approved on September 2, 2016. The terms of the agreement included the enrollment by Bayer of 2,800 women to be studied over the course of 36 months. Publicly available interim study results are to be published on the FDA website when enrollment hits 500 and then again at enrollment of 1,000 women. Based on an average of signing 77 women each month, these interim study results should have been expected in April 2017 and again in October 2017. As of October 19, 2017, it would be reasonable to expect Bayer to have enrolled just over 1,000 women. However, according to the FDA website, only 136 women have been enrolled, and at this rate it is not likely Bayer will achieve a study of 2,800 women by September 2, 2019. We are not lab rats! Essure has been withdrawn from every other country except the U.S. – Just because the FDA is dragging their feet on a recall, doesn’t mean you shouldn’t demand equal treatment of your health. Help Share this message with women in social media – tell Bayer #WeAreNotLabRats! Other Countries that have removed Essure include- Canada – Bayer stopped sales and cites “business reasons” UK - Bayer stopped sales and cites “business reasons Finland - Bayer stopped sales and cites “business reasons Netherlands - Bayer stopped sales and cites “business reasons Brazil - Bayer stopped sales and cites “business reasons Ireland/EU - National Standards Authority of Ireland (NSAI) declined the renewal of Essure’s CE marking – the commercial license that allows the device to be sold in the EU. The CE Marking expired on August 3, 2017 and may be renewed November 2, 2017 pending review. EU countries are reportedly confused over the CE Mark suspension and may need to be reminded that Essure use has been suspended. Australia – August 30th 2017 Australia’s Department of Health issued a hazard alert for Essure and withdrew the device.